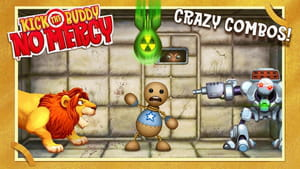 Kick the Buddy: No Mercy is a simple, single-player video game whose object is to kick and destroy the rag-doll, named Buddy, that is insulting the player. For this reason, it's great for stress release. The game also features customizable options that allow players to change things like the décor, profile, and certain graphics. Latest update on February 22, 2018 at 10:21 AM.